Jonathan Ross Goodman isn’t supposed to be alive. Yet here he is, answering the door of his new home on a Friday evening, wearing a sharp blazer and an infectious smile, his brood standing close like a protective secret service detail. The 51-year-old Montreal multimillionaire and pharmaceutical entrepreneur has experienced trauma you can’t immediately recognize when you meet him. First outrunning cancer and later coming back from a monstrous brain injury, he came perilously close to losing everything and everyone. Unfortunately, Goodman’s body reminds him daily of this near-loss by sapping his energy and clouding his short-term memory. A sensitive soul before the accident, the oval-faced executive is doubly so now, confessing to welling up with tears while watching the film Crazy Rich Asians. He was always risk-averse, but he’s more so now, watching and waiting for attractive deal-making opportunities like the obsessive penny-pincher he is. Goodman is accomplished, ambitious, self-possessed and deeply altruistic. He has all the polish of Bay Street without the cold greed. He’s the antithesis of Gordon Gekko. Goodman invited me and my wife, along with our two young children, for supper at his hillside home in October 2018. I was hesitant to trouble him with my offspring, fearing a spectacular scene ending in tantrums and tears. But he was insistent. “Come next week, bring your kids and edit them out of the story if they get in the way!” he wrote in an email. Hosting supper to usher in the Sabbath is something Goodman does most Fridays, and this evening, several extended family members and two neighbours are also present. The entrepreneur and his wife, Dana Caplan, are fairly observant. We light candles, recite a blessing and sing before eating. He hands me a kippa from his son’s bar mitzvah to put on my head. The couple had moved into their well-appointed home in the posh Westmount area—neighbours include André Desmarais and a Labatt family member—just months before, but the move had been years in the making. Goodman's mother, who passed away in 2014, had admired the house for some time (it has “good bones,” she'd say), but it belonged to someone else. One day, it came for up for sale, with an asking price of $4.3 million. Goodman insisted it wasn’t worth more than $2 million. The price kept declining as it sat on the market, and every time it did, Goodman’s broker called to gauge his interest. He remained steadfast. Finally, the price was $2.5 million. “The broker said, ‘What’s $500,000 to you?’ And I said, ‘It’s worth $2 million,’ “ Goodman recalls. “ ‘But what I’ll do is $2 million, and I’ll make a $360,000 donation to the Jewish charities of [the sellers’] choice.' They thought about it for six months and took it.” The anecdote is classic Goodman. Few executives in Canada—few people of any stripe—are cheaper (“I want bunk-bed cubicles [for my staff],” he once told me, only half in jest). Fewer still would muster such an inventive scheme to get what he wanted and still keep the other party happy. Goodman has taken the proverb “Good things come to those who wait” to new heights. He waited five years to pull the trigger on his house. He’s also prepared to wait years to make himself, and his shareholders, rich again. Investors in his current company, Knight Therapeutics Inc., have placed a dizzying amount of faith in him. The reason is obvious: He made a ton of money for them with his first company, Paladin Labs Inc. They want a repeat. Paladin, which Goodman launched fresh out of McGill University grad school with friend Mark Beaudet, had a stunning run. From 1998 to 2012, revenue and earnings before interest, taxes, depreciation and amortization grew by nearly 30%, compounded annually, before Goodman sold the company to U.S. drug maker Endo Health Solutions Inc. for $3.2 billion, or $142 per share, in 2013. When all was said and done, he pocketed a cool $1 billion before tax for his family's 34% stake (and donated one-fifth of it to charity). Not bad for a company that went public at $1.50. If there was a magic sauce that made Paladin a success, it was Goodman's uncanny talent for disciplined and creative deal making, backed by an aversion to borrowing. Paladin became one of the largest Canadian specialty pharmaceutical companies, boasting a stable of 60 marketed drugs at the time of its sale. With each acquisition, he limited what he paid to seven times the target's earnings, according to calculations by RBC. And he never once used debt. The bet is that Goodman will grow Knight much like he did Paladin, and the story will end in another big takeout or large-scale partnership years down the road. “Knight Therapeutics, let the GUD times roll,” wrote Douglas Miehm, an RBC Capital Markets analyst, in a report initiating coverage of the company last spring with an overweight rating. GUD, Knight's ticker symbol, is a nod to its founder. Knight, which Goodman took public in 2014, has the same business model as Paladin, as well as identical guts: It doesn’t conduct its own research but makes money by buying and licensing largely proven products with promising potential. It also lends money. Roughly half of its 30-some employees are former Paladin staff, including finance chief Samira Sakhia and business development specialist Amal Khouri. That hasn't stopped him so far. Over Knight's first five years, Goodman raised close to $700 million in five rounds of financing and generated $220 million in net income. He's still sitting on almost all of that—cash that's waiting to be spent. But some retail shareholders have gotten restless since the stock started drifting down a year ago, especially those who haven't yet recouped their initial investment. “You've got a whole bunch of shareholders that are underwater to the tune of 20%, depending on when they got in,” James Telfser of Aventine Asset Management told BNN Bloomberg's lunchtime call-in show last year. “Jonathan Goodman seems to have lost his nerve” in making big deals, said one caller. Each day Goodman sits on his cash hoard, he risks losing investors. The prospect doesn’t seem to bother him. 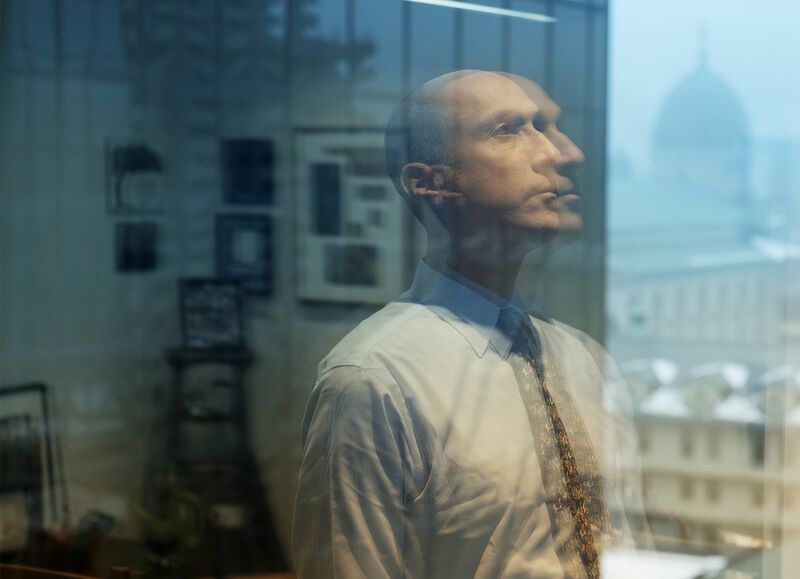 He has a core of loyal shareholders who’ve been with him since the Paladin days, particularly money managers with long-term investment horizons, like Montreal’s Van Berkom and Associates. They know this is a marathon, not a sprint. Still, Goodman admits to me privately that it’s frustrating to have to wait to deploy capital. “In business, if you’re not getting bigger, you’re not going anywhere.” He insists his wait-and-see strategy just boils down to buying right. The single biggest factor that determines a potential investment’s internal rate of return is purchase price, he says, and he doesn’t intend to overpay. If that means it takes time to generate outsized returns, so be it. On August 17, 2011, Jonathan Goodman’s “old brain died,” as he says. Early that morning, as a news release crossed the wire announcing that Paladin had struck a deal to acquire Labopharm of Laval, Quebec, Goodman headed to Labopharm's headquarters to address employees. Beaten down from tallying net losses every year since 1996, the once high-flying Labopharm had explored its strategic options after a restructuring failed to set the company back on course. Paladin was the logical saviour, bringing certainty to employees and shareholders alike. The game plan: spin off Labopharm's costly research and development activities, and focus on selling its existing drugs. The merriment never happened. A kilometre or so from the finish, Goodman, an avid cyclist, fell off his bike on a downhill stretch, smashing into the ground with his right shoulder and head. The executives riding near him saw him drop back, a flash just out of the corners of their eyes. He was wearing a helmet that surely prevented his death. But the damage was done. Goodman plunged into a coma. Doctors told his family and friends he'd suffered a diffuse axonal injury (DAI), which happens when the brain gets suddenly rattled. The organ's long connecting fibres are sheared as it rapidly shakes up and down inside the hard bone of the skull. Nine out of 10 patients with severe DAI never regain consciousness, and those who do frequently spend the rest of their lives in a vegetative state. While he was unconscious, Goodman had several complications. He went into septic shock, had two heart attacks and suffered a pulmonary embolism in addition to pneumonia. After these setbacks, his attending physicians turned even more despondent, telling his loved ones to prepare for the worst, his wife remembers. Not a single doctor treating Goodman predicted he would recover. But he did, pushing his body and mind as hard as he could in therapy. Meanwhile, his family shifted from contemplating his death to fretting over whether he’d be the same individual as before. Caplan did not let their three children, the oldest of whom was six at the time, see their father until he could speak. Goodman’s brain was so scrambled, the balding Jew told the attending physicians that he was a 32-year-old Muslim. Bouncing back took a year and three health-care facilities, where he relearned to walk, talk and eat. Goodman says without a devoted life partner, kids and a “crazily committed” clutch of friends, he would have given up. Cruelly, it was not the first time the executive had battled massive adversity. When he was completing his McGill University undergraduate degree at the London School of Economics, he developed lymphatic cancer. Determined not to feel sorry for himself while lying in a hospital bed, he not only finished his degree but also enrolled in McGill law school, working toward a joint law and MBA degree in between chemotherapy and radiation treatments. Goodman was finally strong enough to return to work in the summer of 2012. But his brain struggled with short-term recall, and he was chronically fatigued. He describes it as that icky feeling you get when you pull an all-nighter, except constant, and it still causes him to slur his speech a bit or mumble as the day wears on and his tired brain blunts his motor skills. 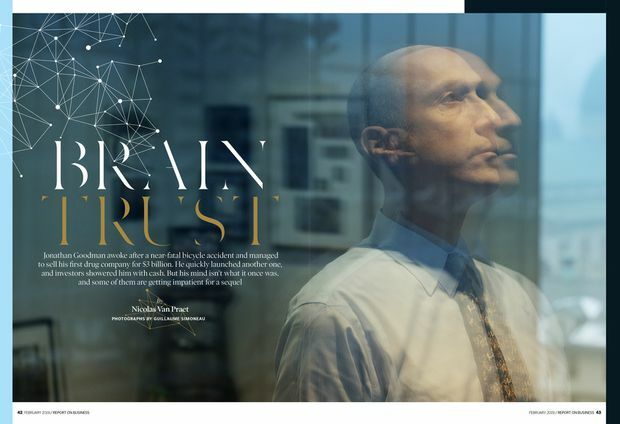 As Goodman continued his rehabilitation to improve his cognition and physical strength, he assumed the role of chair at Paladin, relinquishing the more demanding CEO position to Beaudet. Goodman also concluded that if he couldn’t control the company at full pace anymore, he didn’t want it, and he hired Credit Suisse to shop Paladin around. Enter Endo. A big U.S. firm, Endo was looking to bulk up to better compete with rivals. To get there, it wanted to use the so-called inversion loophole in U.S. law, under which companies can merge with smaller foreign firms and reincorporate the new business in a more tax-friendly country. Paladin was foreign, profitable and well-managed. Most important, though, at 23% of Endo’s size, it was exactly the right proportion needed to get an inversion deal done. Today, Goodman relies on his BlackBerry to help with memory recall and on colleagues to take notes in meetings and help him with follow-ups. Every afternoon, he naps for about 30 minutes on the brown leather sofa in his office to recharge—not because he wants to, but because he needs to. He doesn't feel refreshed when he wakes, he says, but it at least rejuvenates his brain. In a group, Goodman listens attentively and waits for an opening to speak. He is fond of quoting his parents, frequently pulling out their self-styled aphorisms. “My father has an expression: 'Find something you like to do and never work a day in your life' “ or “My father liked to say, 'Better lucky than smart. '” The former goofball hasn't lost his odd sense of humour, either. He doesn't bike anymore (his doctors barred him from any sport with risk of harm to the head), but he signs off his emails with “Please excuse any typos, I am riding a bicycle after all.” He also has problems swallowing coarse food, joking, “Goldfish I can do, 'cause, like, they're slippery.” And if there was a filter before, it's more of a leaky sieve now. Jonathan Goodman likes to say he is wired to sell drugs. It's certainly in his blood. As the son of generic-drug pioneer Morris Goodman, he grew up in a household obsessed with pharmacology. On the living room coffee table, you'd find Drug Topics magazine, not Sports Illustrated. His father is chair of Pharmascience Inc., Canada's third-largest manufacturer of over-the-counter generic drugs. His brother David is the CEO of Pharmascience. Unlike Pharmascience, which does its own research to bring drugs to market, Knight sources from others, as Paladin did. Goodman makes money buying late-stage specialty products and obtaining the licence rights to sell those products in secondary markets. Basically, that means selling in countries like Canada and Israel—nations too small to be worth the trouble for larger drug makers. Canada is, in fact, a whole heap of trouble. The country represents only about 2% of worldwide pharma sales, yet gaining access to sell here is an exercise in bureaucratic bewilderment. It involves winning approval first from Health Canada, obtaining confirmation on pricing from another board and then bargaining with each province over what it's willing to pay for the drugs. The process takes a minimum of about two and a half years at a cost of half a million dollars, even for drugs that have already been cleared by the U.S. Food and Drug Administration. “By avoiding more competitive regions like the U.S. and focusing on Canada and select international markets, Knight creates a moat that lessens the competitive pressures it may face,” says RBC's Miehm. But Goodman can play offence as well as defence. He makes scores of cold calls to explore leads and says he doesn't quit when told to take a hike, a shameless tenacity that has won him some key assets in his career. Goodman literally carved out Knight from Paladin as a spinoff in the negotiations with Endo. He extracted the rights to Impavido, a drug to treat leishmaniasis (a parasitic disease spread by the bite of infected sandflies), as well as a voucher allowing the holder to expedite the FDA's drug approval process. 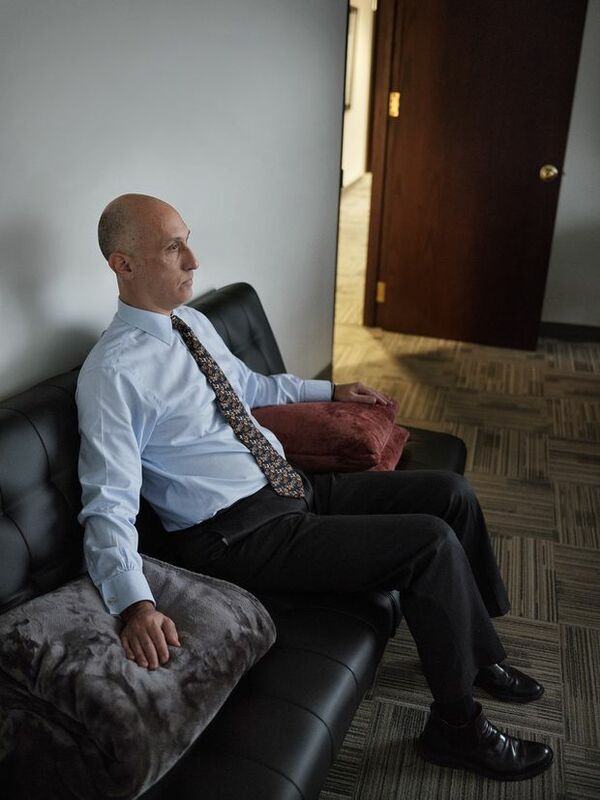 When Endo thought he was done, he went back for more, winning $1 million in cash and even the furniture from Paladin's last corporate acquisition, Labopharm. For each Paladin share they owned, Paladin investors received one share of Knight. The day the Endo deal closed in February 2014, Goodman started working on his new venture. No vacation, no time off. The floodgates opened soon after, as investors started throwing money at him. He's done five bought deals, each at a higher share price than the last. So far, Knight’s revenues have been modest, but the pharmaceutical business is a long game in which it can take years to get to a sizable and steady sales flow. The company posted just $8.6 million in sales in 2017, less than a third of the $26.3 million it tallied from lending activities. Sales are coming in largely from shipments of Impavido and Movantik, an AstraZeneca-made treatment for constipation caused by opioids. Still, the pipeline is growing. Two other families of products are also being marketed, and 14 others are in various stages of development and commercialization. Right now, Knight is making most of its money from banking, something none of its rivals are doing. But it’s banking with a twist. The company is putting its cash to work by offering secured loans to life sciences companies, typically earning interest at double-digit rates and additional consideration, such as product rights. So far, it has generated an average return of about 15% while sourcing 15 new products. In one deal, Goodman loaned $850,000 to over-the-counter product maker Origin BioMed Inc. When it defaulted, he scooped up its Neuragen nerve-pain fighter. Another wildly successful agreement that’s earned Goodman kudos from investors was a deal with Vancouver-based CRH Medical Corp. Knight loaned the company $30 million (U.S.) in late 2014, which allowed it to push into the United States and helped more than triple its stock price over the following four months. CRH then raised equity and repaid the Knight loan early, replacing it with bank debt. For its part, Knight scored an all-in internal rate of return of about 40% in less than a year and got out just before CRH’s share price tanked. Goodman insists he was just lucky in his timing on the CRH deal. “Pigs go to market, hogs get slaughtered. Like, we’re making $10 million, enough. We don’t need to make $10 million and $1.” But others say it’s yet more proof that Goodman’s insight and out-of-the-box thinking will deliver for investors who stick around. Not everything is working out as planned at Knight. Another Goodman idea was to invest in life sciences venture capital funds, earning returns as a limited partner while aiming to receive preferential access to new health-care products. The company had committed $126 million in capital as of last August, but so far, it has only scored a licence from Alimera Sciences Inc. to sell Iluvien, an implant to treat diabetes-related edema, and a deal with Advaxis Inc., for its portfolio of products distributed in Canada. Goodman had expected more. “What I learned is that once you give a fund money, they’re less interested in helping you [on the product side],” he says. “We’re making money. But we did it to secure products, and it’s not working.” He’s now trying to remedy the problem by approaching companies with products closer to commercialization to buy their equity. Perhaps most important, Knight has zero debt and sits on a cash pile of $775 million, a figure that represents 63% of its $1.2-billion market capitalization. That's not a bad place to be at a time when many economists say we're in the later stages of the business cycle. If the era of easy money is truly over as interest rates normalize, asset valuations should fall as companies see their cost of capital go up. And then Goodman will go shopping. Knight currently has a team of six people in business development scouting for acquisition opportunities. Potential targets include Canadian drug industry players like BioSyent Inc., Pediapharm Inc., Nuvo Pharmaceuticals Inc. and Cipher. Goodman has said he’d also buy back Paladin at the right price and has declared publicly his interest in the Canadian assets of Bausch Health Companies Inc., the former Valeant Pharmaceuticals. Beyond that, he’s guarded about the details of his plan for Armageddon. “We will quickly deploy capital in low-risk, nice-return opportunities,” he says. Most of the value of Knight is tied to its cash, with the balance linked to Goodman's reputation as a shrewd businessman, says Lorne Steinberg of Steinberg Wealth Management in Montreal. “An investor is betting on the very brilliant Jonathan Goodman to have a repeat performance. And I wouldn't bet against him.” Goodman has $75 million of his own invested in Knight and says he won't sell one share until he sells them all—at a much higher price. That’s not to say triumph is imminent or will be without tests. As RBC’s Miehm notes, the specialty pharma deal environment is more competitive today than it was in the previous decade. There are more companies chasing fewer assets. That means building out the next Paladin and creating significant new value could take some time. And that’s why many investors remain on the sidelines—watching and waiting for Goodman to pick up the cadence of deals that will light a fire under Knight’s share price. Patience, and time for others, are things Goodman himself has in spades. That's even more true since his brushes with death, say those closest to him. It runs from the small stuff—not getting upset by traffic or long lineups—to big philanthropic efforts like raising money for a new Jewish high school or hospital. Twice now, he's organized private screenings of the newest Star Wars movies for Knight stakeholders, as well as family and friends. He also donated the use of his old home to his religious community, an arrangement that allows his rabbi to live there rent-free. And so, the story of Paladin 2: The Return of Jonathan Goodman is just beginning. In this sequel, the hero is much changed but more determined than ever to prove he can be the world's most successful brain-damaged CEO. In many ways, he already has. In 1987, Schwartz was on board an Amtrak train in Maryland that was travelling at 175 kilometres per hour when it crashed, killing 16. Bertolini crashed into a tree while skiing in 2004, plunging 60 feet into a ravine and landing in icy water that froze his broken spinal cord—the only reason he’s able to walk today. When he eventually returned to work, he boosted the minimum wage at Aetna to $16 an hour and offered free health care to anyone making less than three times the poverty level. Alone at his brother’s house, McDermott fell down the stairs, shattering a glass, which gouged out his left eye. He dragged himself outside and found help, and then spent nine hours in surgery. This story appears in the February 2019 issue of Report on Business magazine.